The Moments combines 5-star hospitality standards typical of a boutique hotel with high-acuity specialized clinical services, a customized dining program, daily housekeeping and a person-centered approach to programming – all offered within a therapeutic environment. Throughout the development of our philosophy and practices, we considered not only those who are living with Alzheimer’s and other forms of dementia, but the needs of their caregivers and extended families as well. 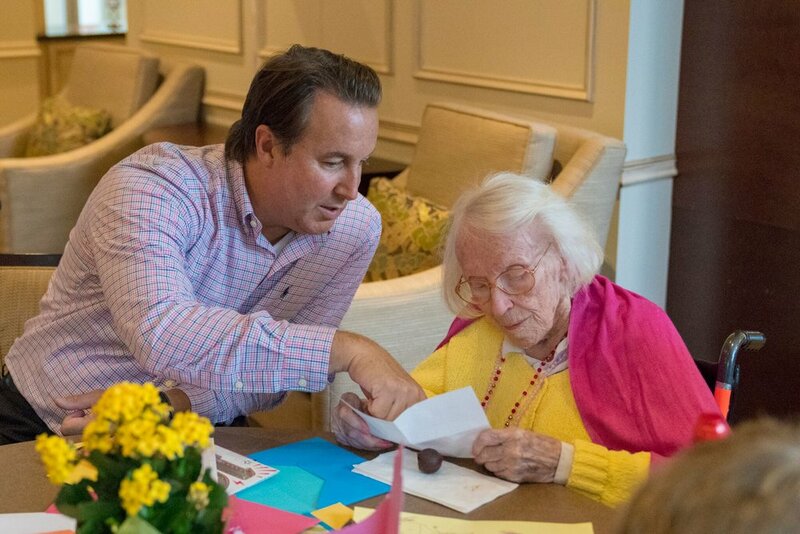 Traditional Memory Care providers often rely on pharmaceutical interventions in the management and treatment of aggression, agitation, anxiety and the complex behaviors commonly associated with dementia. At The Moments, we are advancing care to go beyond psychotropic medications and use “sensory-driven” methods to support a more sustainable level of wellbeing for our Residents. Our highly experienced chef is passionate about top quality, seasonal ingredients. He believes splendid cuisine starts from scratch — from his rustic Bolognese sauce to his savory soup stocks. The Moments is proud to announce our next memory care community, The Moments Grand Lakeville - Opening in late 2019!